“All animals are equal, but some animals are more equal than others.” In Animal Farm, George Orwell described the hypocrisy of governments that proclaim the equality of their citizens but reserves to an elite group the ability to exercise power and enjoy special privileges. 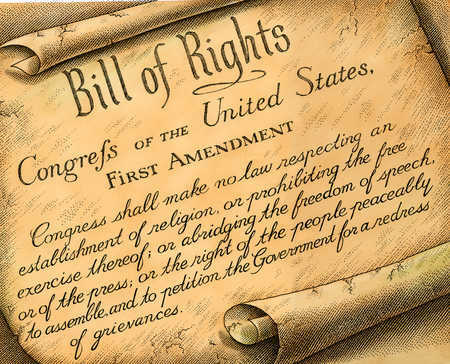 Our Constitution’s First Amendment plainly states that Congress shall make no law abridging the freedom of speech (a limitation extended to the states after the Civil War). It applies to the freedom of speech generally—not to any particular class of speakers. Yet some laws restrict speech solely on the basis of the speaker’s identity, granting some favored speakers power and privileges not shared by all. A new case before the Supreme Court, 1A Auto, Inc. v. Sullivan, may break down these artificial distinctions among speakers. Massachusetts’ ban on corporate contributions prohibits business corporations and other profit-making entities from making contributions to support state or local candidates. They may not contribute to a candidate or to a candidate’s committee, may not establish or administer a political action committee (PAC), and may not contribute to a PAC that is not an independent expenditure PAC. Because of this law, the two small businesses—an auto shop and a storage facility—are prohibited from making political contributions that they otherwise would have made. They sued Michael Sullivan, the Massachusetts Office of Campaign and Political Finance director, to challenge the contribution ban as violating their First Amendment right to free speech. They lost in Massachusetts state courts, largely because of the Supreme Court’s decision in Beaumont v. FEC (2003), which upheld the federal ban on corporate contributions as justified by the government’s interest in “preventing corruption and the appearance of corruption.” Although Citizens United v. FEC (2010) rejected two of the four reasons underlying Beaumont, it accepted one of the reasons (preventing corruption) and was silent as to the fourth (preventing individuals from funneling contributions through corporations). Now the businesses are asking the Supreme Court to review the case, and overrule Beaumont. PLF filed an amicus brief in support of the petition, arguing that in the fifteen years since Beaumont was decided, First Amendment law has grown more protective of political speech, even when expressed by corporations. In McCutcheon v. Federal Election Comm’n (2014), Citizens United, and other cases, largely dismantled the rationale underlying Beaumont, holding that the goal of reducing the political power of the wealthy cannot justify campaign finance restrictions. No one questions that corporate contributions have influence—as they are intended to do—but influence is not corruption. And there is scant evidence that corporate contributions are any different than contributions by wealthy individuals, or nonprofit or trade organizations, such as labor unions. The case also provides the opportunity for this Court to revisit, and discard, the amorphous “appearance of corruption” justification for contribution restrictions. The “appearance” justification, separate from actual quid pro quo corruption but otherwise defined only subjectively and applied selectively, cannot suffice to restrict otherwise protected speech. This case presents a strong vehicle in which to expressly overrule Beaumont, thus permitting lower courts the latitude to apply the more recent speech-protective doctrine.